Based in Annecy in the French alps, Matchy says that the fabric used to make each of its latest jerseys is made by recycling six plastic bottles. 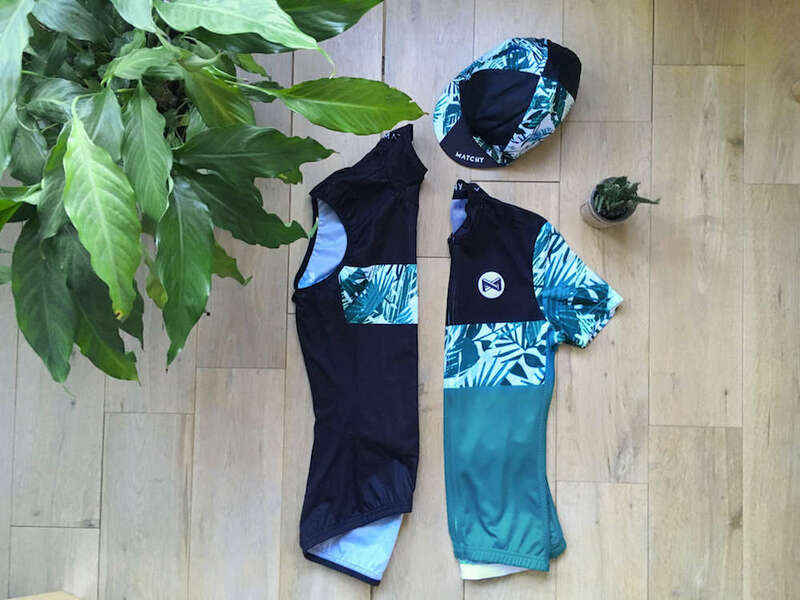 Despite its 100% recycled content, Matchy says that the Repreve fabric used offers no quality compromises and offers the tech features necessary for a cycling jersey. The bottles are shredded, washed and melted down, before spinning into yarn that is used to weave the fabric for Matchy’s jerseys. Each of Matchy’s collections includes a jersey, a gilet and a cap, so you really can be matchy matchy – at least in your top half. Jerseys are priced at €89, windproof and waterproof gilets at €109 and caps at €19 and Matchy also sells bibshorts in navy blue or black for €119. There are men’s and women’s clothing and designs available. Matchy says that only 48% of plastic bottles used in Europe are recycled and that it wants to help to increase this percentage. As well as its 100% recycled fabric content, Matchy uses no plastic in any of its packaging, makes its tags from recycled paper and sells bidons made from recycled plastic.